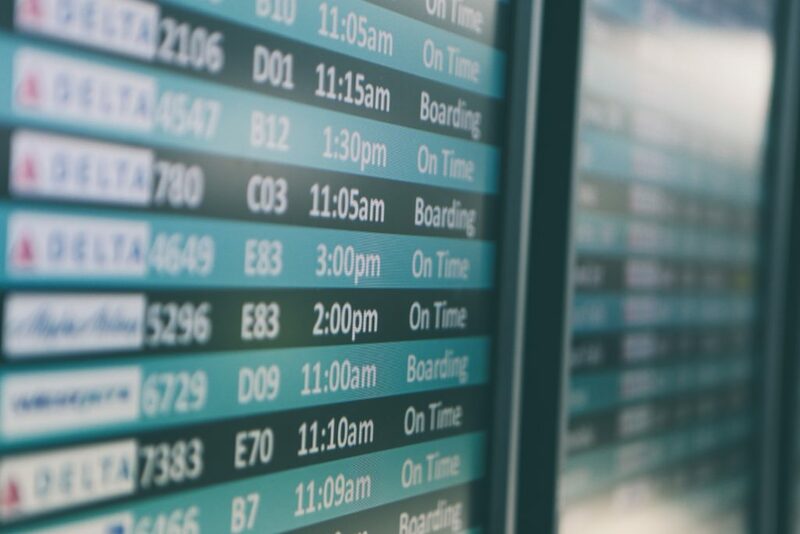 I was flying out to Lisbon the other day, and noticed – yet again, with almost self-harm triggering frustration – just how crazy long it was taking to get us passengers onto the plane. To give them credit, the airline was going through the motions of making it faster, by requesting that people board in logical groups, and ‘suggesting’ that those attempting to pass off a U-Haul trailer as cabin baggage get a grip and park it in the hold. But it still took forever, because as soon as the gate agent’s lips moved near the microphone to announce boarding, everyone surged forward, apparently convinced there was a shortage of seats on the plane. The ensuing circus followed a familiar pattern, and took a good half an hour for a relatively small plane: the crush at the desk; the rush down the gangway – to begin a geriatric shuffle between bank ads; once on the plane, people in aisle seats at the front of the plane getting their U-Haul stowed, all the while blocking the aisle for those further down the plane. When finally seated so that people could move past, it wasn’t but a few moments before their window seat (and/or middle seat) companions showed up. So, up the aisle seaters are again, back into the aisle, waiting while more baggage was stowed, row mates seated, before sitting and clearing the aisle again. That was what was happening on one side of one row, on a plane with 30 something rows. When you expand that scenario to the entire airport, and beyond to the tens of thousands of flights per day on our planet, it is staggering study of inefficiency. And that is before accounting for the desperate souls who can find no place for their trailer, and who for the last 10 minutes of boarding begin moving up and down the cabin – dodging the others engaged in the standard boarding manoeuvres described above – opening lockers, checking for space, then closing them again in a vain hope of finding some space where it might fit. It is a mess, pretty much from front to back. Contrast this with the process for deplaning. People leave the plane, row by row, starting with the rows closest to the exit. If two streams of people meet close to an exit they alternate one by one, or family by family. Sure, there are occasionally those so keen to leave that they are up and opening lockers before the plane stops moving, but basically it is an orderly affair, and it happens remarkably quickly. Enormous planes can be empty inside of minutes. What makes the difference? In getting onto the plane, there is no common understanding of ‘how we do this’. It is a free for all. A self-interested carry-on space race that creates major mischief for all concerned. When deplaning, however, the common understanding permits incredible efficiencies born of coordinated action. It isn’t complicated, but the very simplicity of it is extremely powerful. The key is the common understanding. What is odd is that we accept both as normal, although there are clearly huge inefficiencies in the former. My take: most knowledge workers – those who think, decide and talk for a living – spend most of their day in the workplace equivalent of the boarding scenario. When teams and departments develop a common understanding and language for what work is and how to handle it, and agree on some standards for ‘deplaning’ the work coming at them, even large, complex and ill-defined topics can be handled relatively quickly because of that common understanding. What’s it like where you work? Excellent article, Edward! Thanks for sharing your insight. Hi David, Glad you liked it, and thanks for the feedback.